In a meeting with The Seattle Times’ editorial board, AEG President Bob Newman said the company’s focus is on a standalone “world-class” facility that could handle concerts and other events and be adapted for NBA and NHL use if needed. Anschutz Entertainment Group President Bob Newman says his company is prepared to embark on a major KeyArena remodel regardless of whether NBA or NHL teams are first secured. Newman visited with The Seattle Times’ editorial board Wednesday and said the Los Angeles-based company — a world leader in owning and managing of sports facilities — would respond to a city of Seattle Request for Proposals (RFP) to renovate the 55-year-old facility. He said AEG’s focus is on a stand-alone “world-class” facility for concerts and other events and adaptable for NBA and NHL use if needed. AEG has managed marketing for KeyArena since 2008 and saw it become a moneymaking facility with annual net revenues between $309,000 and $1.2 million. 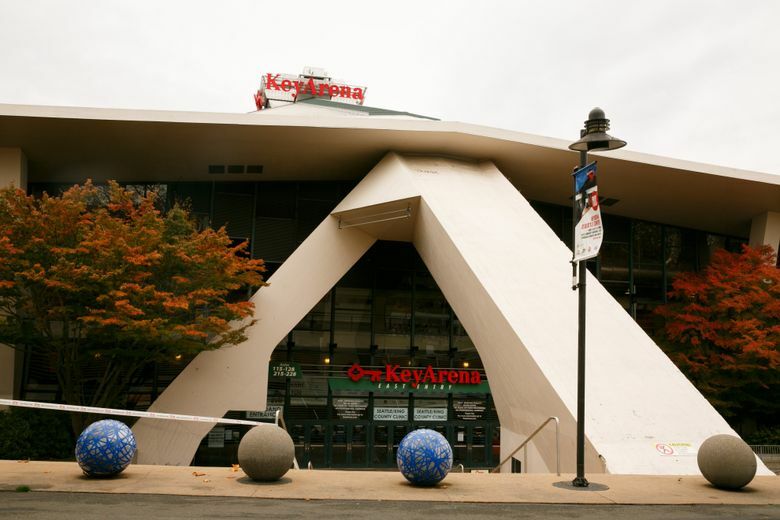 The RFP issued by the city Wednesday states that any renovation would have to assume KeyArena attains landmark status and that its iconic roof would remain intact. The city says all construction would have to be privately funded. The developer would enter into a lease arrangement in which the city would maintain ownership of the arena. Newman says the city’s guidelines mimic what AEG has done in arena partnerships worldwide. As the world’s largest owner of professional sports franchises — counting 16, including NBA, NHL and MLS squads — AEG would be precluded under league rules from buying in to new teams here. In other words, Newman said, this is strictly about bringing the arena into more modern times. And he says the time frame for that construction can be bumped ahead should any teams be made available by either the NBA or NHL. The NBA is expected to open an expansion process within the next year. The biggest, he said, is first-class amenities in everything from luxury seating to food and beverages, technology features and fan interaction within the arena. Newman envisions a revamped arena as a “catalyst” toward potential new development phases in other parts of Seattle Center, if the city decides that’s what it wants. But for now, he added, AEG would begin construction on the arena alone, regardless of whether teams are prepared to come. He pointed to AEG’s “track record” of building the new MGM Arena in Las Vegas ahead of an NHL team being awarded last summer. Newman said AEG also was affiliated with the new Videotron arena in Quebec City, the only other locale to bid for NHL expansion. That arena was built about a year before the NHL passed on expanding to Quebec City for the time being. The L.A.-based Oak View Group, headed by Tim Leiweke and Irving Azoff, also has indicated it would begin KeyArena construction before teams are made available. That differentiates both groups from entrepreneur Chris Hansen, who is pitching a privately funded arena project in Sodo District. Hansen has said he would not begin construction until teams are secured and added that he needs a “shovel ready” plan that includes the city selling him part of Occidental Avenue South. But the city is reluctant to give up the street until it is assured teams are coming — something Hansen has been unable to do. One of the biggest issues, he said, is meeting the city’s requirement to come up with a transportation and parking plan to ease traffic congestion in an already highly traveled corridor. But he added that Key­Arena already manages more than 100 events per year in which traffic is impacted. Newman said Seattle has plenty going for it as a city already. But what it lacks, he adds, is a world-class arena in the heart of the city. Having worked for years within Seattle Center, Newman said AEG remains confident Key­Arena is the city’s best location to have that venue built.